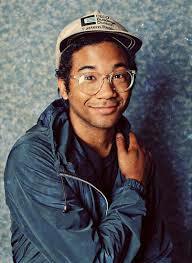 Toro Y Moi is the moniker used by chillwave extraordinaire Chazwick Bradley Bundick. His popularity peeked during the chillwave invasion of 2010, and is often confused with being the godfather of chillwave. All of that credit actually goes to the Michael McDonalds, Steely Dans, Boz Scaggses, and Pablo Cruises of the world, to name a few, they did all of the heavy lifting for young Chazwick back in the seventies. When I first began constructing this list for your viewing pleasure, I had Mr. Moi much lower. But as he continues to share new music off his upcoming (April 7) release What For?, I just can’t get enough. For those interested, Toro Y Moi means Bull and Me. Bundick also uses the moniker Les Sins, releasing the album Michael in late 2014.